Motivation and cooperation are a large part of the outcome and success for orthodontic treatment. One of the ways that our office encourages our patients is our "Trotter Token" program. 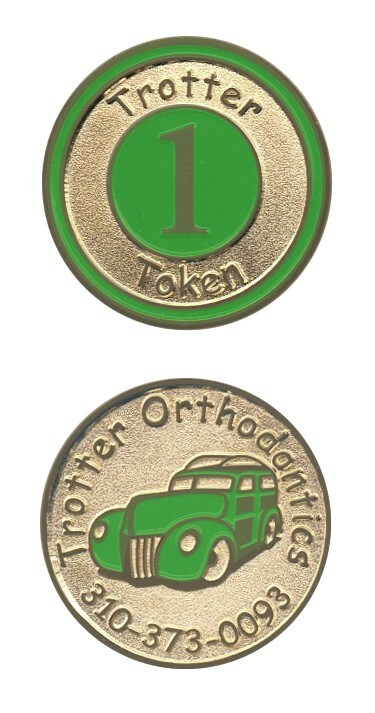 At each appointment the patient is able to earn three "Trotter-Tokens" (for good brushing, no broken appliances, and arriving to their appointment on time). At any time during treatment, they are able to "cash-in" their tokens for some neat prizes (gift cards for I-Tunes, Best Buy, Tilleys, etc. ).